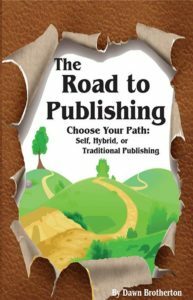 It’s a long, twisting road to publishing—don’t let anyone tell you differently. There’s no one path, and results are as varied as the methods to get there. I have written and published numerous titles. I have also published works by other authors and helped them realize their dreams. I speak at conferences, teach classes on publishing and work with schools and Girl Scouts to encourage young writers. Now I’d like to extend my reach and help you. I would never claim to know everything about publishing. It’s growing and changing at such a rapid pace, I don’t think anyone could ever make that claim. Before you make a decision affecting your life, you owe it to yourself to do some homework.